In continuation to my new blog series: “Why Do We Travel?” which features articles from my fellow blogger friends from around the world, it gives me immense pleasure to present to you: Maureen LoBue, who is a fellow travel blogger & travel enthusiast who runs the her own travel blogging website The Nomad Dancer. 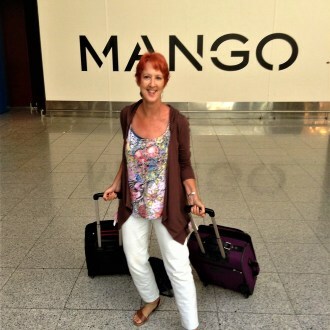 Maureen is the perfect example of a traveler following her passion…dance & learning. For the past 5 years Maureen has lived outside her home country, USA, as a nomad. Her goal for each country where she lives for 3 months, is to learn about their culture and to feed her dance passion by connecting with local groups. I find her passion for travel and dance a lethal combination, wherein she follows the philosophy of – dance, even if you have to warn people to get out of the way first, which means in Maureen’s own words – “Go for your dream of travel, find adventures and follow your passion, whatever that might be. Don’t let others (or your own doubt) stop you”. In my professional corporate career I developed and taught communication programs, which gave me the opportunity to travel around the world, while raising my two sons. Before they were grown, I owned 5 properties, including a piece of land on a Caribbean island where I planned to build my retirement home. Then the recession happened and my retirement home didn’t. My entire life turned a different direction in which I traded things for memories and my passion, dancing. Now I work part time from my computer, have absolutely no overhead (no home, no car, no debt), live in a new country every few months, learn about cultures through volunteering, meet amazing people, and laugh more than I ever have, while twirling around the dance floor. 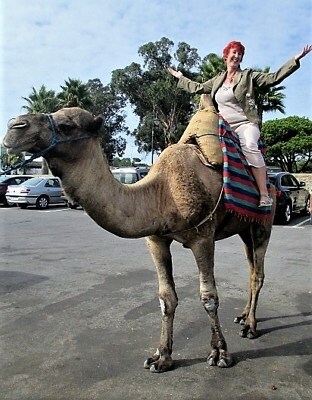 I also write about my adventures and challenges, helping others to take the steps to travel and to follow their passions, on my travel website: The Nomad Dancer. The feeling never goes away. Driving past a billboard advertising an exotic travel destination we nearly drive off the road as our eyes follow it. Listening to a friend’s descriptions of their latest vacation makes us green with envy as we hear of new sights, sounds, and smells. The song “Leaving on a jet plane” causes the adrenaline to start pumping and the imagination to conjure up visions of where that plane might be going. We see a photo or video of a new destination and wonder, “What would it be like to live there?” That curiosity pulls at us from movies, from books, even from our dreams. As a child I used to dream that I could fly. In my dream I would need a running start down the sidewalk before I lifted off with a jump and a pulling of my arms as if swimming up into the sky. It was not easy to get started, but once my feet lifted off the ground I could work my way up to the height of the neighboring houses & then fly right over the tops. It was a bit of work, so my flights were never long but the feeling of anticipation, excitement, and total freedom stayed with me long after I woke looking forward to the next one. As an adult, that feeling has not gone away. Of course, now I use a plane to do my flying, but the feeling is the same. In looking at a new destination, the anticipation and excitement build as I wonder how do people there live, how do they fulfill their dreams, what are their challenges and passions? I first began travelling for business. But I quickly learned to combine a bit of pleasure with the business by extending a day or two and by using the evenings to explore my surroundings. I wanted to know what each new place was like; why people live there, what they do there, what they like and dislike about it. I would imagine myself living there to see how it felt, to try it on so to speak. The sense of curiosity and need to learn about other ways that people live kept me asking questions and exploring. Nearing retirement, I began as many do, to think about what I want to do, how I want to spend my time, what is important to me. My first thought was travel. Now I would have the freedom to travel anywhere any time to learn about how people live in different places. I would also have the time to pursue my passion, dance. With these thoughts, my travel focus expanded from the curiosity of why people live somewhere to would I like to live there. Would I be able to continue my passion for dancing there? These two questions were so loud that they became all-consuming and eventually a plan formed to answer both. I sold everything. All my possessions, including home, car, everything collected over the years, was liquidated to simplify life and provide the freedom to follow my dreams. I can’t imagine living in just one place. 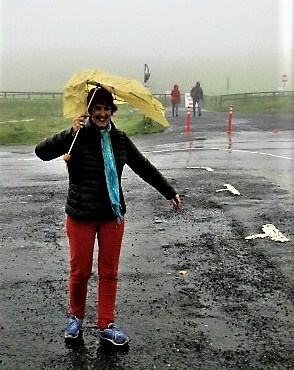 I’ve lived in Ireland where the weather is cold, wet, and windy, and where the people are incredibly warm. I’ve lived in Bali where people have very little in material things, but are the most content people I’ve ever known. I’ve lived in the Caribbean where family is everything, trumping even job requirements. Each new home teaches me the commonalities and the differences in people. After 5 years of nomad travel, I see many more commonalities than differences especially in children. It’s all fascinating. In each home I’ve found dancing in some form and always been welcomed into dance communities. Now, as the Nomad Dancer, I fly over houses all around the world, choosing a different country to claim as home every few months. I join social groups and volunteer in the communities to learn why people live there, what they like about it, how their lives are unique and/or the same as others. I join dance groups to feed my passion and make new friends with people who share this passion. I am continually learning, not just about others, but about myself. There are many reasons to travel. For those of us who have such a strong sense of curiosity about how others live, it can change our lives. Not everyone sells all their belongings to become nomads. Some join groups that do projects around the world to improve lives. Others volunteer for a variety of important charities. But we all share that curiosity about others. We all want to learn. We all have passions we want to follow and share. That feeling never goes away. I was pleased to meet Maureen in Panama and to spend a few days with her in Ireland. It is great to follow her latest adventures. Maureen is a fun and fabulous person and we were pleased to have her stay in our Melbourne apartment last year. She is the real deal, and that smile is too. Glad you are travelling well, Maureen!